When writing one of these show recaps/ruminations, I’ll scan the headlines for topics of interest as peculiar pop cultural tie-ins. Normally, there’s some sort of broad or quirky aspect of what’s going on in the world to poke fun at or analyze in jest, but at the time of writing this - Tuesday, October 6th - the two most widely trending topics in Tennessee are voting and tornadoes. While I do feel passionate about the former - hopefully at the time of reading this, you’ve already submitted your ballot for the 2018 midterms - I feel a show recap may not be the best forum to stump or entice would be non-voters. Furthermore, it would be unfair to Tyler Ramsey, of whose show I’ll be ruminating over. So, we’ll close that first bit of topicality with this - voting is important, civic engagement is important, and our communities do not progress without the involvement of all who inhabit them. Now, onto the second trending topic in Nashville on Tuesday, October 6th, 2018 - tornadoes. There was, purportedly, a tornado last night. For obvious reasons (attending Tyler Ramsey’s show), I was (relatively) unaware, but apparently it did happen. The time spent moving from parked vehicle to The Basement would support such a scenario, but seeing as I’m no meteorologist, I figure we’ll table the weather talk and focus on the reason I didn’t notice much of the tempestuous bluster outside - Tyler Ramsey’s Nashville stop at The Basement. I can only assume it is difficult to approach touring in anticipation for an album that is set to come out in Spring of the following year, but that’s precisely what Tyler Ramsey and company find themselves in the midst of, and they do so marvelously. While Ramsey (for now) might be best known for a decade long stint in the “beautifully dysfunctional family” Band of Horses, such will not be the case for long once his upcoming LP drops. If memory serves, I’ve taken the time on this site (or some other random one off on another) to express my distinct admiration for the music of Cameron Avery. Much like Ramsey, Avery is a side-man (in Tame Impala) who spends his touring off-season making music of his own. The music Avery makes on his own is somewhere in the realm of slightly sleazy velvet lounge drunkard pop. Like Ole Blue Eyes mixed with Cocker. 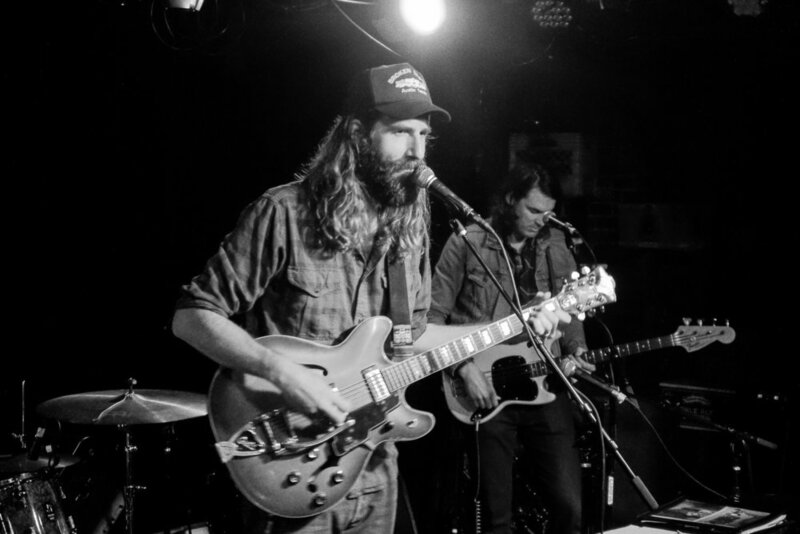 So with that in mind, upon hearing Tyler Ramsey’s new music at The Basement for the first time, you might imagine my surprise when a former member of Band of Horses’ solo music recalled moments of Cameron Avery’s 2016 solo record. Now, I realize, I should probably qualify some things in moving forward with this comparison. First and foremost, I stand by Avery’s music being playfully sleazy, whereas Ramsey’s most certainly is not. There’s a sleepy empathy to it. Almost as if Ramsey is singing his songs in the middle of a sleepwalking episode. The idea that someone could craft a song so wistful for some version of the “glory days” with casualness and empathy is fascinating. It’s as if Ramsey obtained the unreleased manuscripts for Catcher in the Rye 2 and turned an even more jaded Holden Caulfield’s purview into song. It’s lyrical (obviously) and prosaic all the same, which if no easy feat. Perhaps another reason Ramsey’s music seems to be such a sonic mnemonic for Cameron Avery and Leonard Cohen is his liberal use of the Wurlitzer. One of the most simultaneously whimsical and visceral instruments there is, a properly utilized Wurly can blur the lines of empathy and apathy as sharp as any other instrument. In all honesty, seeing the Wurlitzer was a bit of a surprise, considering Ramsey’s music would most readily (and lazily) be categorized as “Americana,” but the nonspecific role it plays in his music creates a breadth of each song that most are incapable of achieving. Ramsey’s arrangements are simple (as he put it, he opts mostly for three chords when he can), but that simplicity creates a space for Ramsey’s meter to marinate further. That’s probably what it is about Ramsey’s music that sticks with me so readily - it’s simple but effective. The music is impactful, but without the “shove it down your throat” emphasis of what Ramsey’s doing. On the surface Ramsey’s music may come off as elegaic and doleful, but at the same time, it’s quietly sanguine and poised to lift the listener up the more time they spend with it, even if the next time they get to spend extensive time with the music isn’t until Spring of 2019. But for now, the one off will have to do.